Do you spend countless hours rehashing mistakes you made? Do you worry about what others think of you? Do you struggle to make decisions -- and get caught up in excessive researching in an effort to make the right decision? This is overthinking -- a form of uncontrollable worry or rumination. It feels like your brain is in overdrive; you can’t turn it off. You worry and wonder so much that you lose sleep, can’t concentrate and struggle to get normal activities done. In my experience, there are three predominant forms of overthinking. See if any or all of them resonate with you. Ruminating about a mistake or perceived inadequacy. You think you did something wrong (often something quite minor in the grand scheme of things), but can’t let it go. You replay it repeatedly in your mind, getting caught in a cycle of self-judgment and self-criticism. You imagine the consequences of your mistake are dire (therapists call this catastrophizing). You beat yourself up over what you did wrong and dwell on what you should have done. Analysis paralysis. You spend inordinate amounts of time agonizing over a decision. You do research, read reviews, but can’t seem to make a decision. You magnify the importance of the decision thinking the consequences are much greater than they are or that the decision is irreversible. You put so much pressure on yourself to make the perfect decision that you get mentally paralyzed and can’t decide at all. Uncontrollable worry about the unknown. You feel helpless, unsure of how to solve a problem, so you worry about it. Perhaps you’re worried about a rash on your stomach or what job prospects your teen will have if he doesn’t go to college or why your mother’s been so forgetful. Again, you may do extensive research looking for answers and reassurance, but you’re unlikely to feel at ease with the information you find. A key aspect of this worrying is catastrophizing which means you focus on the worst imaginable outcome and magnify the likelihood of it happening. 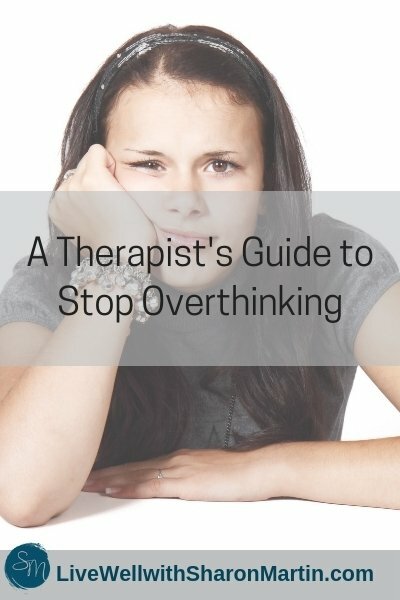 How does overthinking effect emotional health? Overthinking doesn’t help us solve problems or make decisions. It does the opposite – it keeps us thinking, thinking, thinking about the same things, but unable to make a decision or take action. Overthinking keeps us dwelling on the past or worrying about the future. It increases stress and often contributes to insomnia, difficulty concentrating and completing productive work. Overthinking can also erode our self-esteem. It reinforces our overly negative perception of ourselves, magnifies our mistakes and discounts our positive attributes and the progress we’ve made. Many of my clients get increasingly frustrated with themselves because they can’t stop overthinking. This leads to a cycle of self-blame and criticism that compounds their anxiety. Unconsciously, anxiety tries to keep us safe from all sorts of painful experiences -- criticism, rejection, failure, illness, and so on. On some level, we equate worrying with problem-solving. But we often worry or overthink about problems that we can’t solve, other people’s problems, or things that have already happened. And focusing on everything that can go wrong, doesn’t help us avoid negative outcomes. Instead, it just reinforces our fears and makes us more anxious. Overthinking also has roots in perfectionism. It’s often the result of having unrealistically high standards for ourselves, so we can’t tolerate making a mistake and we assume the consequences are worse than they are. As a result, we can’t bounce back or let it go. Instead, we obsess about it and criticize ourselves. Perfectionists also tend to have rigid, all-or-nothing thinking – a thinking pattern where we believe there’s only one “right” decision or way to do things. The result is that we put tremendous pressure on ourselves to do the right thing or make the right choice. Overthinking can be a hard habit to break. However, with awareness and willingness to change some of your behaviors and thoughts, you can reduce or stop overthinking or worrying. 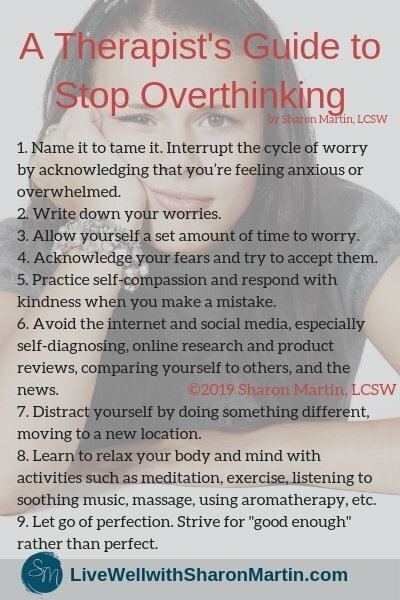 Below, are nine of my favorite strategies to end overthinking. Name it to tame it. The first thing I suggest you do when you’re overthinking is to name it. Simply acknowledging that you’re overthinking, feeling anxious or worried, can help interrupt the cycle. And this acknowledgment is also your cue to try some of the other strategies. Write down your worries. If you’re stuck in an overthinking loop, I recommend writing down your worries. Putting them down on paper creates a “holding place” for them so you don’t have to keep them all in your head. Writing also brings clarity and helps with problem-solving. Allow yourself a set amount of time to worry. If you’re frequently distracted by worry throughout the day, choosing a prescribed time to worry can be helpful. The goal here is to allow yourself time to think about and have feelings about whatever’s on your mind, but not to let it overtake your entire day. Set a timer and when the prescribed amount of time (about 10-15 minutes) is up, it’s time to go back to your normal activities. Self-compassion. I also encourage my clients to replace self-criticism with self-compassion. This can simply take the form of saying something kind to yourself when you feel stressed or like you made a mistake. By responding with self-compassion you can retrain your thinking patterns and realize that you are deserving of compassion and forgiveness, especially when you make mistakes and are imperfect. Self-diagnosing. Using the internet to try to figure out what’s wrong with you or a loved one is probably inaccurate – making you think you have an ailment when you don’t or giving you a false sense of security if you conclude you’re not sick when you are. Please see a doctor; it’s the only thing that will truly put your mind at ease and it’s the best thing to do for your health. Online research. Researching, reading product/service reviews, or other forms of online information gathering can lead to information overload, misinformation, and increased anxiety. Social media. Social media is a breeding ground for social comparison. And when we compare ourselves to people online, we generally feel worse – and it’s not a fair comparison because you’re only seeing someone’s “highlight reel”. Reading/watching/listening to the news. Most news is “bad news” and gives a skewed perspective, focusing on problems and disasters, which makes us exaggerate the likelihood of bad things happening. Distract. Sometimes, some good old fashioned distraction can help. You’ll probably have the best results if you engage in something that’s particularly fun and interesting to you, that takes some mental focus (like a crossword puzzle), and is in a new location (go outside, go into another room, run an errand, take a shower). Learn to relax your body and mind. 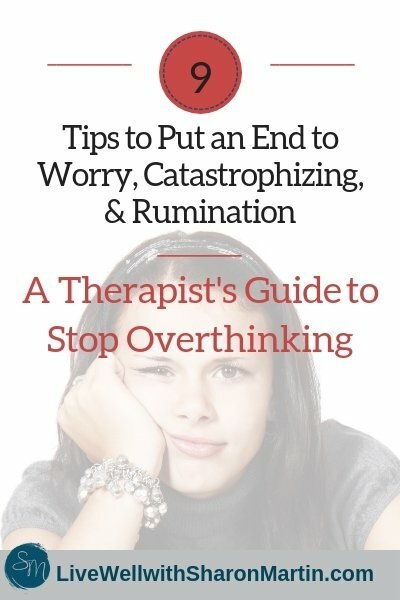 Overthinking can also be helped by increasing activities that relax your mind and body, such as meditation, exercise, listening to soothing music, massage, using aromatherapy, and so forth. Let go of perfection. In most cases, you don’t need to make the perfect decision or be a perfect person. “Good enough” really is good enough! One of my favorite mantras is “progress not perfection” because it reminds me that I don’t have to be perfect; I just have to keep learning. If you’d like to learn more, please sign-up below for my weekly newsletter and follow me on Instagram or Facebook. 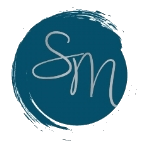 ⟵Is Perfectionism Sabotaging Your Self-Care?